KayKiSpeaks.com: MUST WATCH: Actress Ashley Judd Delivers Powerful Spoken Word Piece At Women's March on Washington! GO OFF! Among citizens of the United States who are in the crowd and on the stage are some of the most popular names in Government and entertainment. Names like Congresswoman Maxine Waters, Congresswoman Tammy Duckworth, Janelle Monae, Madonna, and even Ashley Judd. These women among many approached the platform to address a massive raving crowd. Their words were potent and eloquent, their energy exploding! 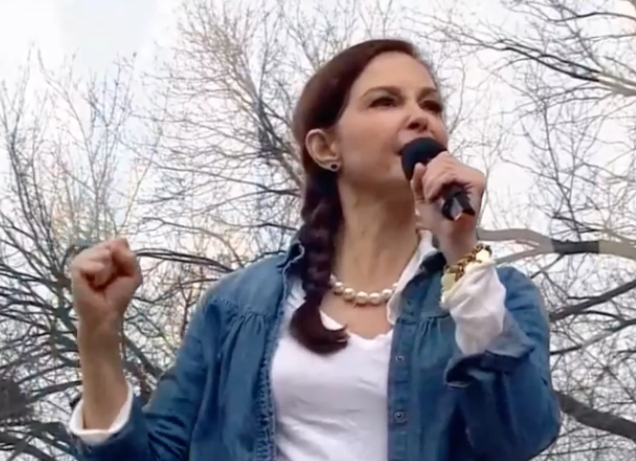 Among the footage circulating today is the moment Actress Ashley Judd took the stage for a spoken word piece that played on the term 'nasty woman'..the insult turned compliment started of course by the new President. I literally just want you to watch it..I dont have to say much of anything about it. The way these women are taking action and center stage today is pure motivation for so many of us. Check out Ashley's powerful moment below!